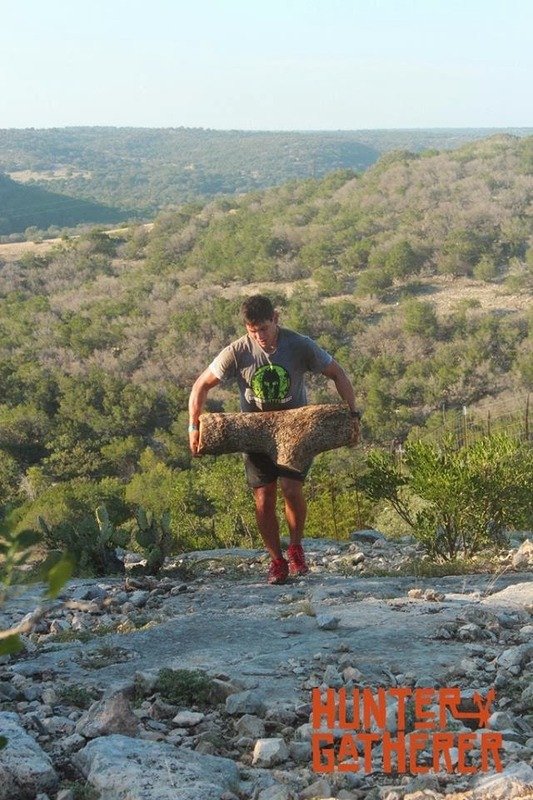 As a number of you are gearing up for the upcoming run in Nicaragua, I’d like to share the perspectives of three more racers on the recent Survival Run in Texas. In this post, Kim Kendra, one of the few female racers, describes the course, the race winner Shane McKay shares his training regimen, and Isaiah Vidal, “the superfreak of fitness”, discloses a surprising career aspiration. “Lots of hills, lots of rocks, and lots of bushwhacking” is how Kim Kendra, one of the racers, competing in the “obstacle-free” 50k Ultra Run, describes the course. She podiumed as a 3rd female, finishing in 10 hours and 45 minutes. To compare – a 3rd female in a recent 50k in Ontario finished in 4 hours and 14 minutes. Despite (or maybe thanks to) the brutal terrain, it seems Josue Stephens is onto something – these events are addictive. “Less than a week after the Hunter Gatherer Ultra, and I’m already thinking about signing up for the Survival Run” says Kendra. *Time above – one hour behind due to staggered starts. Kim Kendra, a 32-year old from Sleepy Hollow, NY, is no stranger to gruelling events. 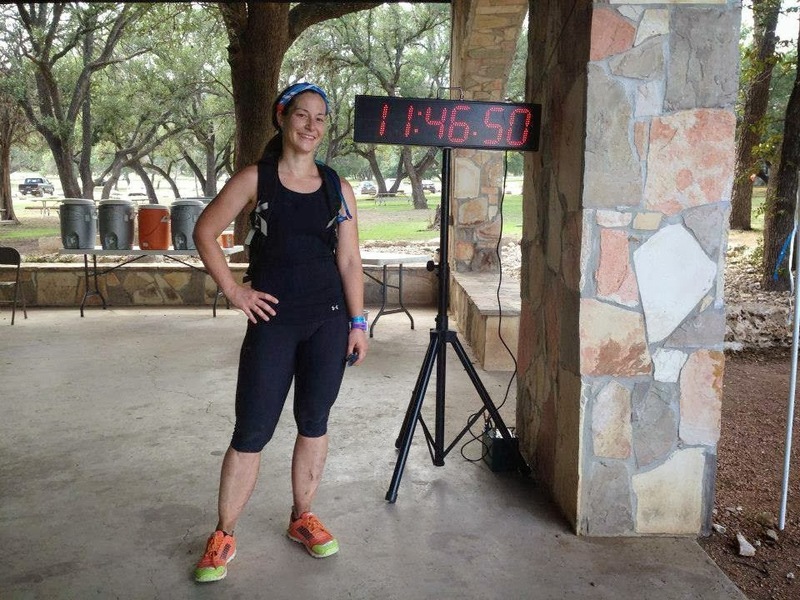 Although fairly new to racing, she has been steadily amping up the length and difficulty of her events, quickly graduating from road running to obstacle racing, and finally completing her first 50-miler as well as S.E.R.E. Performance Assault Challenge in 2013. The latter event lasted 22 hours, and covered 48 miles. The racers carried their own water, food, gear as well as mandatory sand weight. They walked on the railroad tracks for miles. They invaded local eateries while covered in stinky mud, humbly asking to use the phone. Assault had only 2 (unofficial) finishers. Kendra was one of them. The other was David Kalal whom you may remember from a recent guest race recap. When she is not bushwhacking through the underbrush, Kim wears a white coat and goggles, and works on developing drug candidates for cardiovascular disease, cancer, and muscle disorders. As I started talking to athletes and the race director himself about the Survival Run, every single one of them recommended that I talked to Shane. He was referred to as an “absolutely amazing athlete”, an “inspirational beast”, and a “super cool Canadian dude”. If that wasn’t enough, 53-year old Shane was the Survival run winner, and the only person to collect all 4 amulets (i.e. 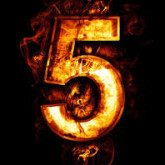 complete all the challenges) and finish the 50km in around 16 hours. I reached Shane at his small ranch in Invermere, British Columbia, and he was kind enough to share some insights into his training and his racing accomplishments. What is your main sport? running and Crossfit training. 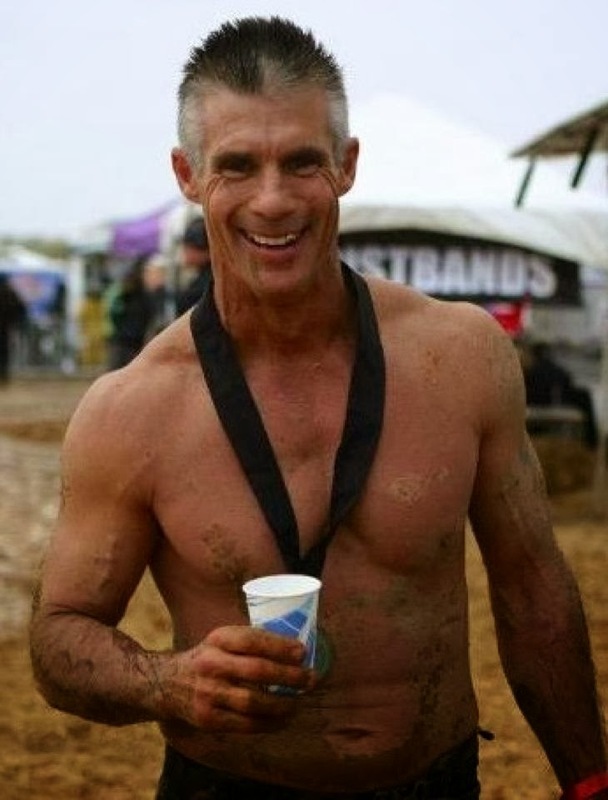 I started running two years ago and since then have completed around 25 Spartan races and numerous trail races. What are some of the other races that you are proud of? 1st in AG in grizzly mountain marathon. You are the winner of this event. Did you enter 50k or 100k? Did you finish? How long did it take? At Hunter Gatherer, I completed the 50 km in around 16 hrs. I was told by race director Josue that I had won the race and it was not necessary to continue. He also said if I chose to go on I had his full support, they would man the obstacles and watch me closely. I started the second loop, but by the time it came back past the venue I had reconsidered. Nothing more from a fitness point could be gained, except, perhaps, an injury. It would also mean keeping volunteers on the course and if I were injured and required evacuation someone else’s health may be on the line. It would have been great to have more runners make the cut off and keep going. The race would be over and the real survival run could take place. What was the most challenging about the course? My biggest challenge was the swim. I have worked hard all summer and even practiced in sandals. I wasn’t sure how long it would be so I went slow a tried to conserve energy I would need it for the rest of the race. After being in the water for about an hr and a half I was starting to shiver, I still had about 200 yrds to go, I decided I would have to really pick it up and get out of the water. Also, I hadn’t been able to take in any nutrition while swimming and was starting to feel the result. As soon as I hit the shore I downed about a litre of Carbo pro mix and had a protein bar, it took a couple hrs before I felt good. According to the race director, “If I get lost, hurt or die, it is my OWN damn fault”. You obviously didn’t die. Did you get lost or hurt? Haha, I did not get lost or hurt either. I paid close attention to the markings and always backtracked if I was unsure. I paid close attention to my nutrition making sure I was consuming at least 250 calories per hr plus electrolyte and salt. I also kept a close feel for my feet, always checking and adjusting sandals as required and taking it easy on the rougher terrain. Would you have done anything differently to prepare for this race? 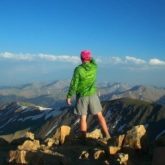 Isaiah Vidal is perhaps best known as “that crazy guy who biked from Texas to Vermont and then ran the Beast AND the Ultra Beast”. 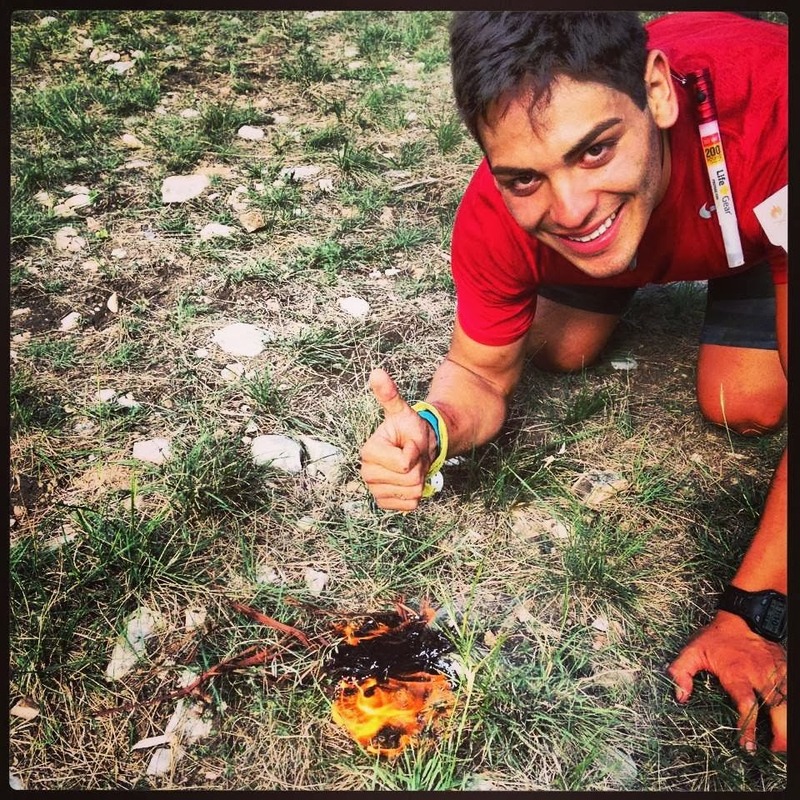 It was only fitting that two weeks after the Vermont championships, this smiley 20-year old toed the start line in Texas, as the youngest Survival Run competitor. 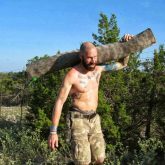 I chat with Isaiah only a week after the event, and he reports feeling pretty good, apart from his neck and shoulders that were completely ripped up by the 100+ lb log he had to carry for hours. What was your favorite obstacle? It took me three hours to make fire. I am a stubborn guy, and I didn’t care how long it took me. I would have rather run out of time that quit. When it finally happened, I cried. There were so many racers who couldn’t do it. And I did. I made fire! Why do you think the idea of a Hunter/Gatherer race may be appealing to the modern human? After all, to get fire today all we need is a lighter. This race teaches you to persevere. It’s about being outside of your comfort zone, being able to do something completely different from normal runners in a normal event. For example, making shoes of my own – I’ve never done that before. You have to learn how to be uncomfortable. You are in college. What program are you currently pursuing? I am stuck between kinesiology and theatre. I can be a good actor. It’s another gift that I have been given. I’ve done some casting, but would love to do more speeches, and work on stage. When it comes to casting, they look at me as a young jock, the football player. There are not too many roles like that. I would need to reshape my body in order to fit more diverse roles. But I don’t want to change who I am. I am also part of FCA – Fellowship of Christian Athletes. I want to share my faith with other people, and follow the Lord. I want people to be inspired. You just give me a mike, and I start speaking from the heart. We will see Isaiah on the extreme endurance racing circuit in 2014 or maybe on stage, acting. In either case, he will be pushing himself even further, no doubt. And that’s a wrap on the Hunter/Gatherer series of posts. At least for now. 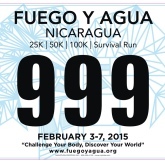 On February 5th, the Survival Run: Nicaragua will return. Last year there were only two official finishers. This year, who knows? Some crazies will attempt the Deadly Devil’s Double Challenge – a 75+km Survival Run followed by a 100km Ultra mere three days later. 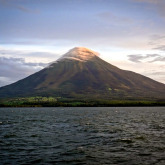 I’m looking forward to chatting with some of the athletes after the upcoming race in Nicaragua, and of course, bringing their stories to you. *Disclaimer: Please note that Fuego Y Agua has not paid or compensated me in any way to cover their event or give them a positive review. Anything you read here is my independent opinion based on interviewing the race director and racers.